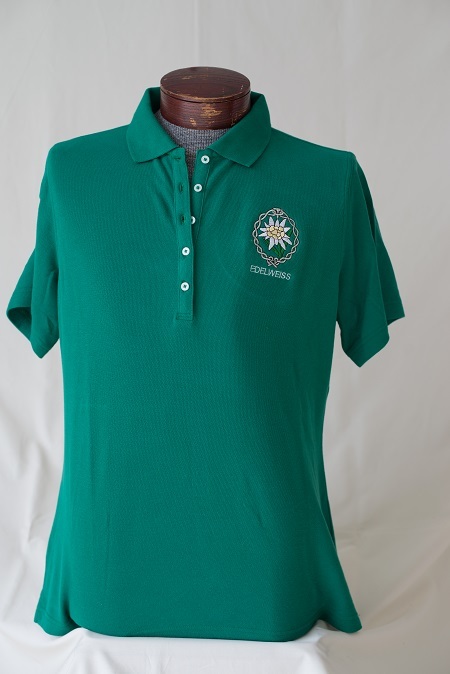 The Ladies Edelweiss Embroidered Pullover Sport Shirt is a five button collared cotton shirt shown in green. 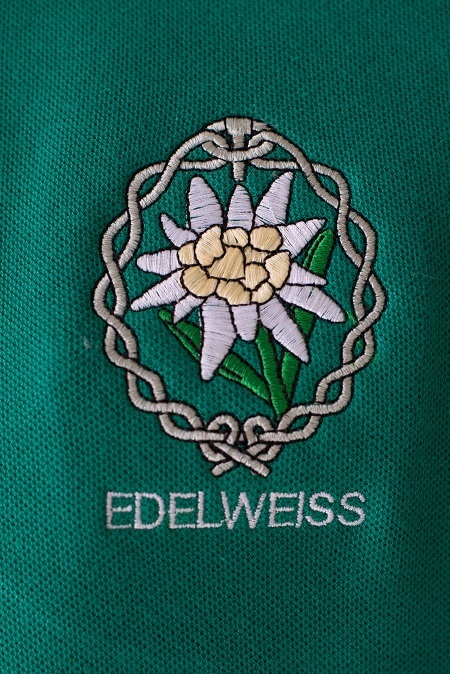 This left chest design features the Edelweiss Flower embroidered with white, yellow, green, and silver tread. This shirt is also available in both cotton and polyester, and in various colors. Please specify which color and fabric by e-mail. Ezcotton Pique Polo’s are a 6.5 oz. 100% cotton, with anti-curl collar. The Ezcotton Sport Shirt resist pilling, fading, wrinkling, and shrinking. Double-needle stitching throughout, piping detail inside neckband, and flat knit collar. This shirt features five Buttons in Pearl White.